There is now confirmation that the Dalai Lama’s personal envoy and ex-Prime Minister of the Central Tibetan Administration (CTA) lied about his visit to China. 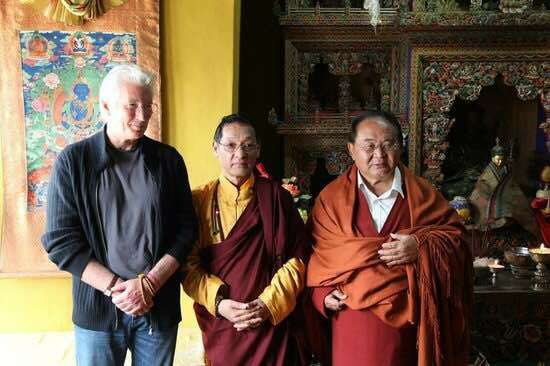 Professor Samdhong Rinpoche’s trip, which was reported by no less than five news platforms and verified by the current head of the Tibetan government-in-exile, Sikyong Lobsang Sangay, was flatly denied by Samdhong Rinpoche two weeks after news of his secret travels broke. However, just over three weeks later, Samdhong Rinpoche’s denial was exposed to be false by Jayadeva Ranade, a former officer of India’s Research and Analysis Wing (RAW), the primary foreign intelligence agency of India set up to closely monitor foreign threats to the country, including any from China. The former RAW officer revealed that Samdhong Rinpoche would certainly have met with senior Chinese officials including Xi Jinping’s appointee to The United Front Work Department, which is the very department set up by the Chinese Communist Party to manage Tibetan affairs. Therefore, given the reliability of the source of information, it is safe to say that Samdhong Rinpoche’s denial was disingenuous. 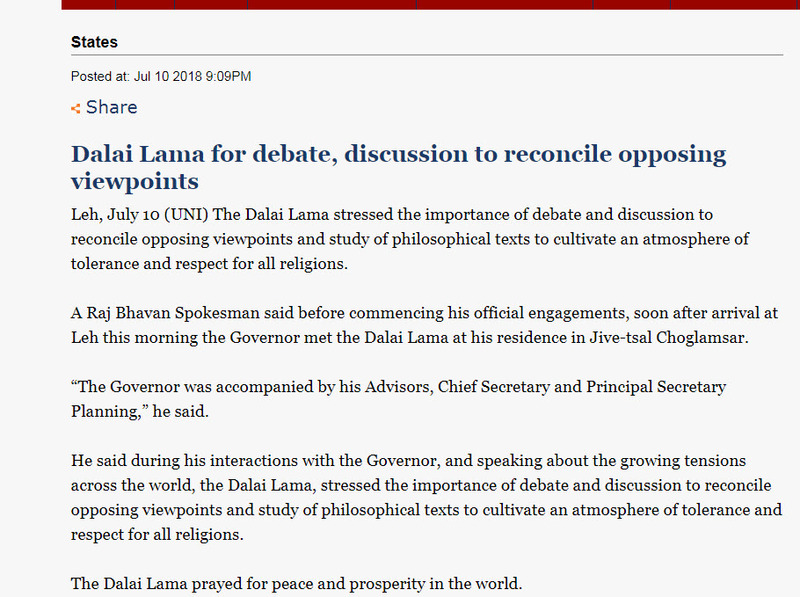 (i) To begin with, any news about the Dalai Lama’s envoy having dialogue with Chinese officials, presumably about the possible return of the Dalai Lama and the Tibetan people to their homeland, should be welcome news. 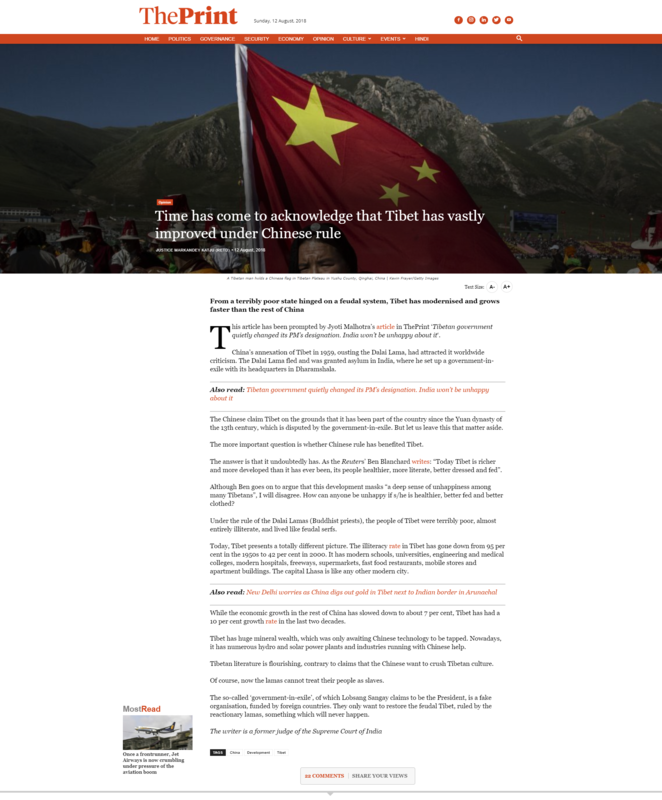 After all, about 150,000 Tibetans in exile and 6 million Tibetan people in the homeland deserve to know. They have waited over 50 years for signs that this dream that has defined the Tibetan diaspora might be possible; a dream for which 150 desperate Tibetans have set themselves on fire, as recently as May 2017. 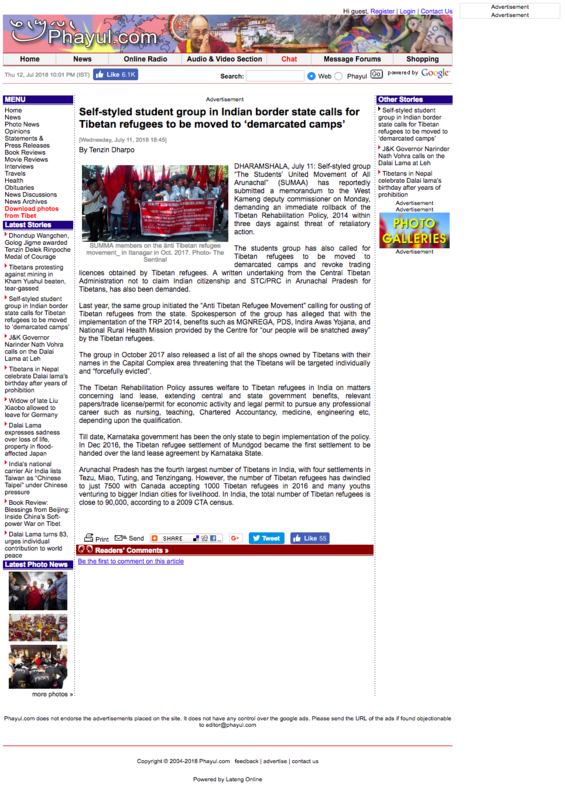 Sharing such news would serve to lift the spirits of the Tibetan people and many others around the world who have prayed, supported and campaigned for the Tibetan people’s return to their homeland. 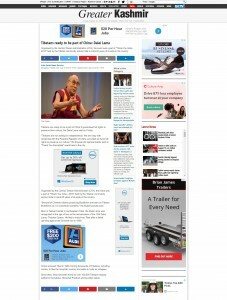 So why would Samdhong Rinpoche deny that he had talks with Chinese officials at all? 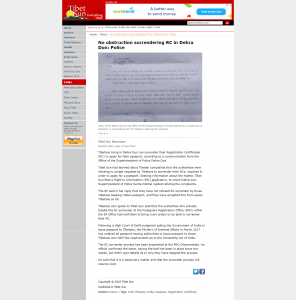 The CTA has recently been caught with their pants down on a number of corruption charges both abroad and in Dharamsala. 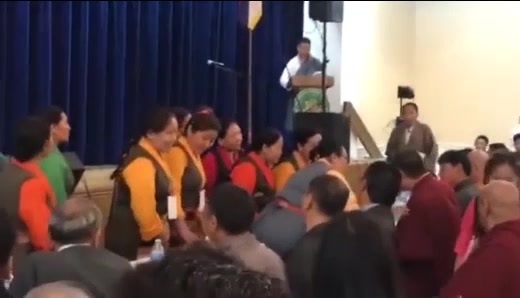 The present leadership under Sikyong Lobsang Sangay has proven to be ineffective except for when it comes to disposing of rivals such as Lukar Jam and Penpa Tsering. Domestically the CTA has made it taboo for Tibetan refugees to accept Indian passports which would no doubt improve their chances of securing a better future as citizens of India, whilst CTA officials themselves have secured citizenships and permanent residencies abroad. In short, the CTA is caught in its own entanglements that have arisen out of the self-serving agendas of CTA officials and their cronies. Much of the efforts the CTA has made in recent years has been to split the Tibetan community with myriad divisive issues so that the people are too busy fighting amongst themselves to ask what the CTA has been doing. 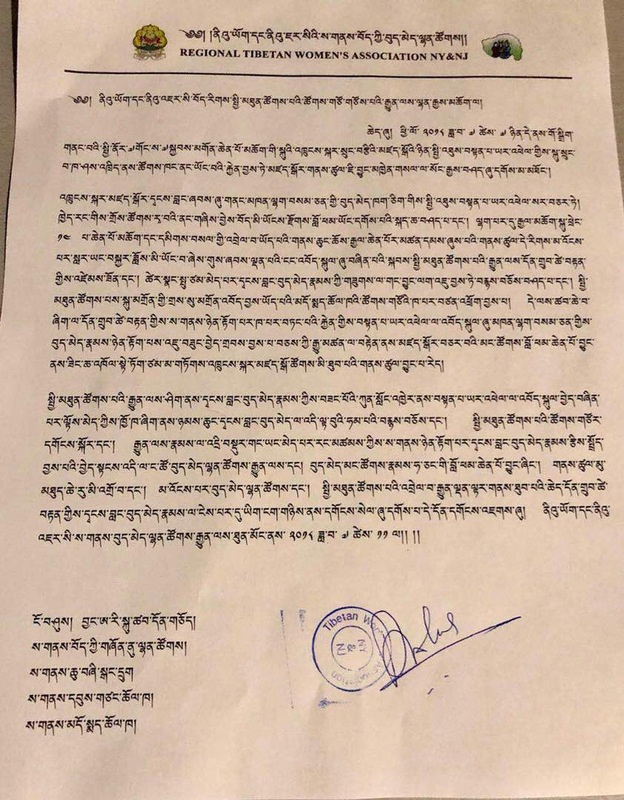 Samdhong Rinpoche’s latest duplicity is very much characteristic of the Tibetan leadership and it is only a matter of time before we learn what Samdhong Rinpoche is hiding. (ii) Or could Samdhong Rinpoche be hiding the fact that in order to secure favorable terms for the Dalai Lama and selected mandarins in Samdhong Rinpoche’s coterie, the Tibetan leadership would ultimately be willing to betray India who have provided for them for over half a century and at great costs to themselves? As Jayadeva Ranade observed in his article, Samdhong Rinpoche’s visit takes place at a time when Sino-Indian relations are testy. And it was a shock that Samdhong Rinpoche would so insensitively attempt to reconcile with India’s adversary at a time when India needs support. 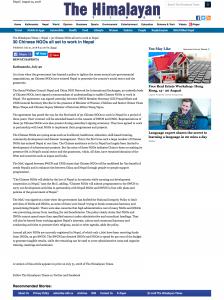 Either Samdhong Rinpoche is completely inept at basic diplomacy, which is crucial for his role as personal envoy of the Dalai Lama, or he does not care about the wellbeing of the Tibetan people’s generous host. 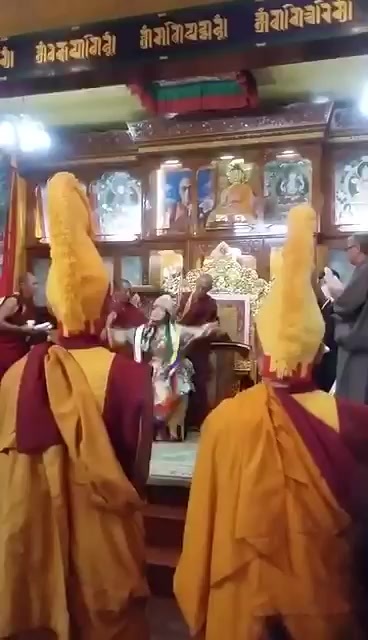 This is something the Indian people have begun to observe of late and consequently, more are voicing their unhappiness over how the Tibetans do not contribute back to India. They pay no rental, no taxes, and the CTA does not raise any funds to support Indian community projects. In fact, the Tibetan ‘refugees’ do far better and are far wealthier than the majority of the Indian people who continue to languish in sheer poverty. Sino-Indian relations have deteriorated over time and there are multiple flashpoints along the Chinese-Indian border. 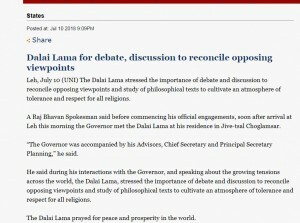 The Tibet and Dalai Lama issues have not helped. 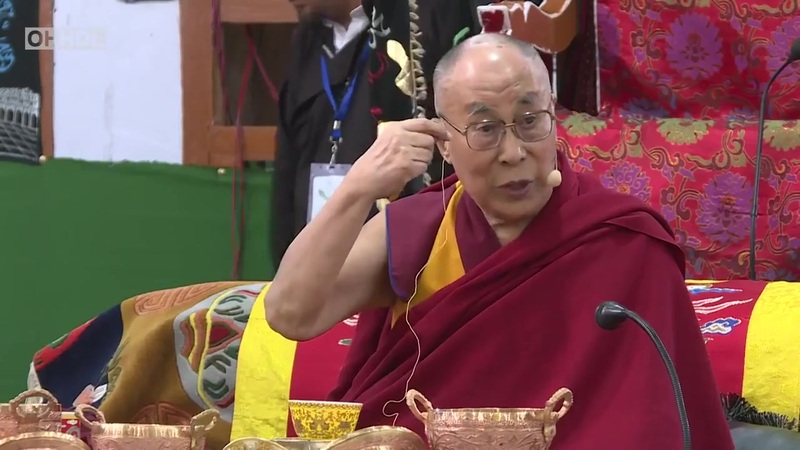 At times like this, soft but effective pressure such as the Dalai Lama’s spiritual influence comes in handy in swaying sentiments in contested regions and other Sino-Indian cross-border issues. 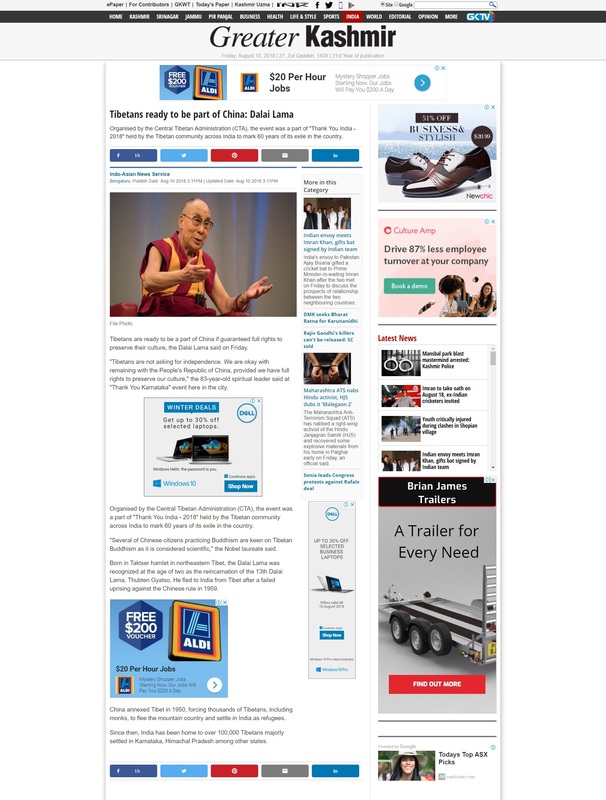 The Dalai Lama’s power should never be discounted, especially looking at how the Dalai Lama has managed to mesmerise the world with his charms longer than any statesman in living history, and enrolled a significant portion of the global populace into various manifestations of the ‘Tibetan cause’ even though no one really knows what the cause is. 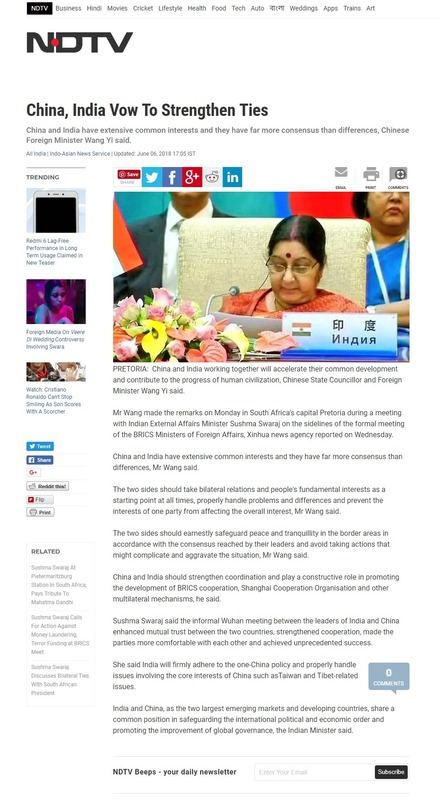 Is Samdhong Rinpoche’s lie about his visit to China an indication that a deal is being negotiated with China that, in consummation, would hang India out to dry? 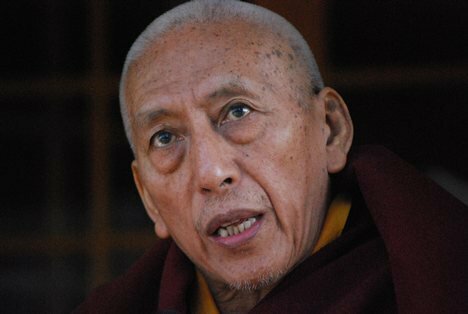 (iii) Perhaps the most disturbing element of Samdhong Rinpoche’s deception is how brazenly he conducts it. What most people see is an elderly person in monk’s robes who, as a two-term kalon tripa (Prime Minister of the CTA), held the fragmented Tibetan refugee community together. 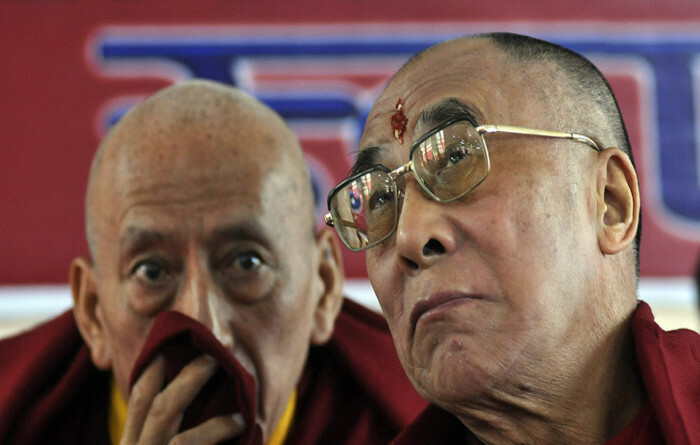 What fewer people know is the grotesque suppression of human rights that the exiled Tibetan people suffered under a government with Samdhong Rinpoche at the helm, and the damage Samdhong Rinpoche’s CTA inflicted with its schismatic policies and machinations. It was under Samdhong Rinpoche’s leadership that the religious ban on the practice of Dorje Shugden was imposed in 1996. 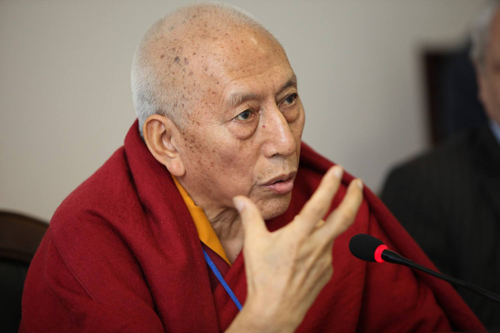 Samdhong Rinpoche directed the Tibetan Cabinet and Parliament to pass laws which in effect legalized the witch-hunt and persecution of Shugden Buddhists whose loyalty to the purity of their spiritual practice stood in the way of the CTA’s political ambitions. 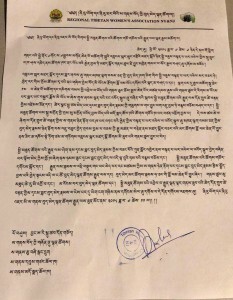 In 2008, with Samdhong Rinpoche still as the head, the Tibetan leadership inflicted the most damaging blow to the Tibetan monastic community by directing that Shugden-worshipping monks be forced to deny their own faith or be expelled. That directive ruptured the integrity of Tibetan Buddhism in a way Mao’s efforts to destroy Buddhism could not. … A lot of Shugden practitioners are becoming terrorists, and that they are willing to kill anybody. They are willing to beat up anybody. By falsely accusing Shugden Buddhists to be colluding with the Tibetan people’s enemy and by tagging them as “terrorists”, Samdhong Rinpoche struck a very sore chord with the people and unleashed a powerful source of pent-up anger against China. This anger was directed at innocent Shugden monks and lay practitioners who were already stricken because they had left their homes to follow the Dalai Lama into exile. In short, Samdhong Rinpoche succeeded in turning the Tibetan people against their own. However, there was never any truth in Samdhong Rinpoche’s false charges against Dorje Shugden practitioners and the fact remains that, throughout the entirety of the Dorje Shugden religious ban, Samdhong Rinpoche has never provided evidence to support his allegations or explain how Tibetan and non-Tibetan Buddhists instantly became allies with the CCP merely by worshipping an ancient Tibetan deity. Unfortunately, that false accusation took traction and the unity of the largest Tibetan Buddhist sect fell apart. 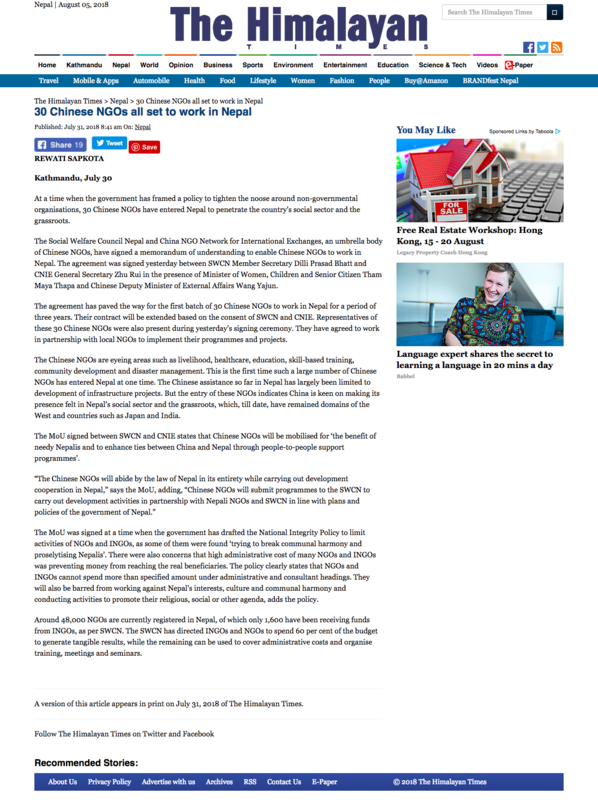 As it turns out, now we see that instead of Shugden Buddhists having alliances with the Chinese government as Samdhong Rinpoche has alleged, it is he who has been keeping friends in the CCP all this time. Samdhong Rinpoche’s recent visit to China could not have happened if he did not have very close ties with high officials in the Chinese Communist Central Committee. He is after all the personal envoy of the Dalai Lama whom the Chinese government regards with great caution. Before that, he was a two-term CTA prime minister who had attacked China’s reputation at each opportunity he could find. And yet, Samdhong Rinpoche managed to enter China quietly and hold secret talks with high Chinese officials. None of this could have happened if Samdhong Rinpoche did not have strings in the right places – strings that he has maintained throughout the years. 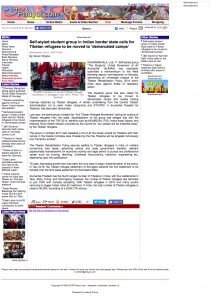 The Chinese government must have some trust in Samdhong Rinpoche to let him in so easily. In what is clearly an obscene twist of facts, Dorje Shugden Buddhists have been wrongly accused for years for being friendly with China and have been persecuted by the Tibetan people as a result. 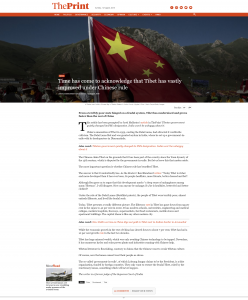 In the meantime, it is the accuser himself who has harboured secret Chinese networks and yet the Tibetan people blindly continue to place their trust in him. So we can clearly see that Samdhong Rinpoche, who began the unholy political crusade against Dorje Shugden worshippers, is someone who is not impartial to lying and deception. Today the Tibetan community in exile is completely fragmented courtesy of a number of CTA policies that Samdhong Rinpoche initiated and Lobsang Sangay continued. To achieve the fading Tibetan dream, the people need to close ranks and set aside differences that their leadership introduced and perpetuated. They need to unite under a strong, committed and competent leadership that focuses on the welfare of the Tibetan people. Unfortunately, this is unlikely to happen as long as the old robber-barons such as Samdhong Rinpoche are in power and the people are regarded as nothing more than chattels at the disposal of feudal lords, regardless of how many ‘democracy days’ the Tibetan people celebrate. 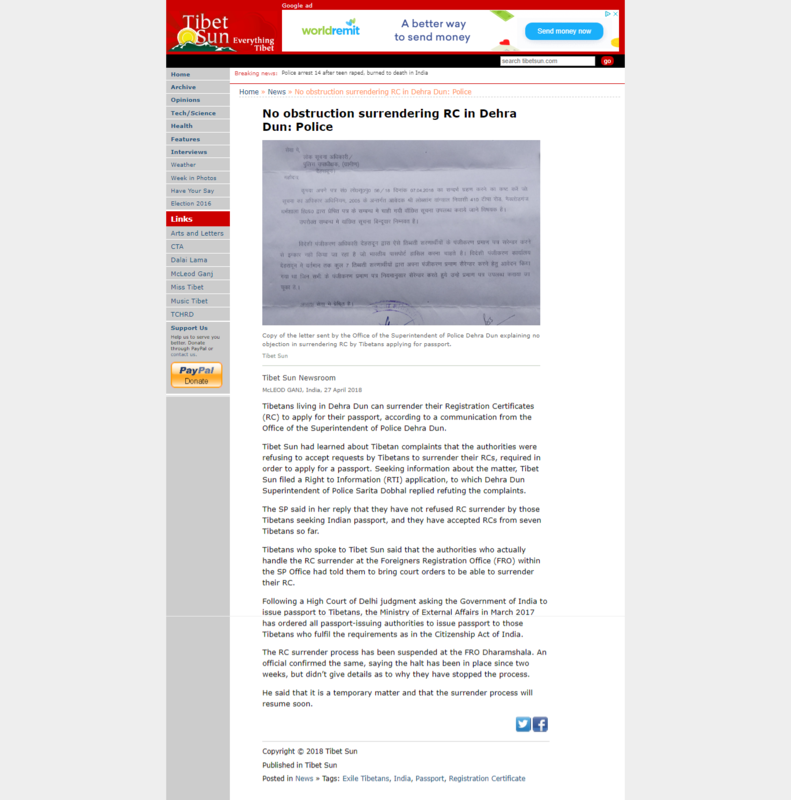 Source: http://www.rediff.com/news/column/tibet-developments-may-put-pressure-on-india/20180107.htm. Click to read the full report. 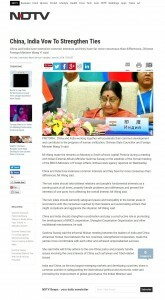 Source: http://www.tibetanjournal.com/index.php/2018/01/07/former-indian-intelligence-claims-samdhong-rinpoche-visited-china/. Click to read the full report.